It seems like almost Cloverfield-esque technique to announce it this late in the marketing thing. As we movie buffs know SXSW has been going strong the past two weeks and has been featuring movies like US, Pet Symetary amongst others. So this is the time we get hit with plenty of sneak peeks and spoiler filled reviews. SXSW if you don’t know is a major film festival in Texas. Recently screened The Curse if La Llorona which is why we now have this news. 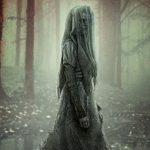 THE CURSE OF LA LLORONA is set in 1973 Los Angeles, and while most reviews point out that the period setting seems entirely arbitrary, it does allow Tony Amendola’s ANNABELLE character Father Perez to make a cameo in the film. Since Father Perez isn’t the most memorable person in the Conjuring Universe, the film then drives home the connection to other films by having Perez mention an encounter with an evil doll – with a black and white flashback to ANNABELLE assuring audiences that yes, he is talking about that evil doll. Now that may be the biggest head scratcher of all. Was New Line afraid of the potential box office failure? Or did they simply keep this a secret all along. The film is scheduled to be released April 19th and the synopsis is as followed.